We're excited to start work on a new collaborative project on the neurocognitive impact of indoor air quality. This project is in collaboration with Jeffrey Siegel in the U of T Department of Civil and Mineral Engineering and is funded by an XSeed Grant from the U of T Faculties of Arts & Science and Engineering. Graduation Excitement at Macklab; Well Done, Marlie, Jason and Melisa! Congrats to Marlie, Jason and Melisa on completing their bachelor's degree with success. 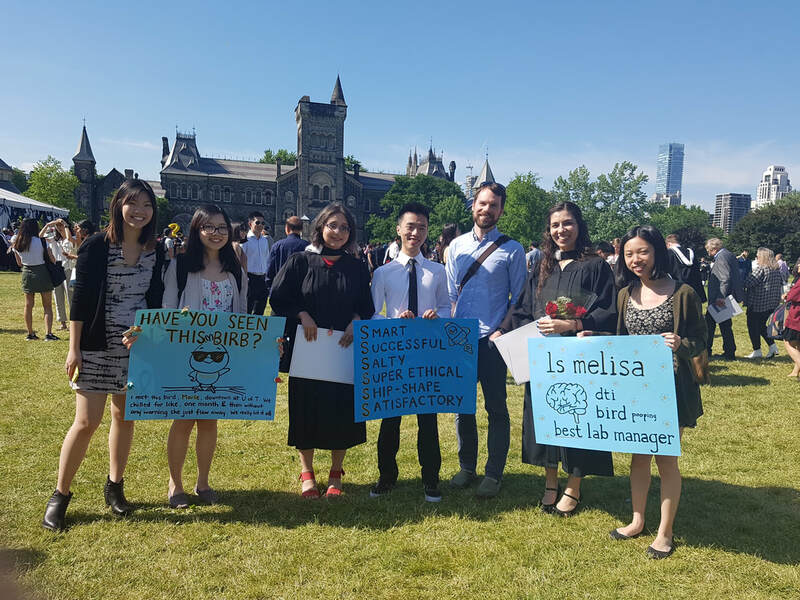 Macklab was happy to share the excitement of their graduation day, and thank you to Teresa, Chanel and Belinda for surprising us with creative and fun posters! Congrats to Marlie, UTEA for Summer 2018! Congrats to Marlie for receiving an University of Toronto Excellence Award (UTEA) for Summer 2018! Congrats to Teresa, USRA for Summer 2018! Congrats to Teresa for receiving an NSERC Undergraduate Student Research Award (USRA) for Summer 2018! Marlie presented her undergraduate thesis as part of her undergraduate specialist program! Well-done! Congrats to Jason, again! OPAM best poster award! Congratulations to Jason Chow, again! Jason received an award for best poster at OPAM. Well done! Congrats to Jason, OPAM travel award! ​Chow, J.K., & Mack, M.L. (2017). Object substitution masking reveals a competitive dynamic between levels of categorization. Poster presentation at the Object Perception, Attention, and Memory Annual Conference 2018, Vancouver, B.C.